The other day I saw this amazing looking peanut sauce on Season & Suppers and I decided straight away that I needed to make it ASAP. I decided to throw together a quick stir fry and adapt this sauce to make it irresistible. 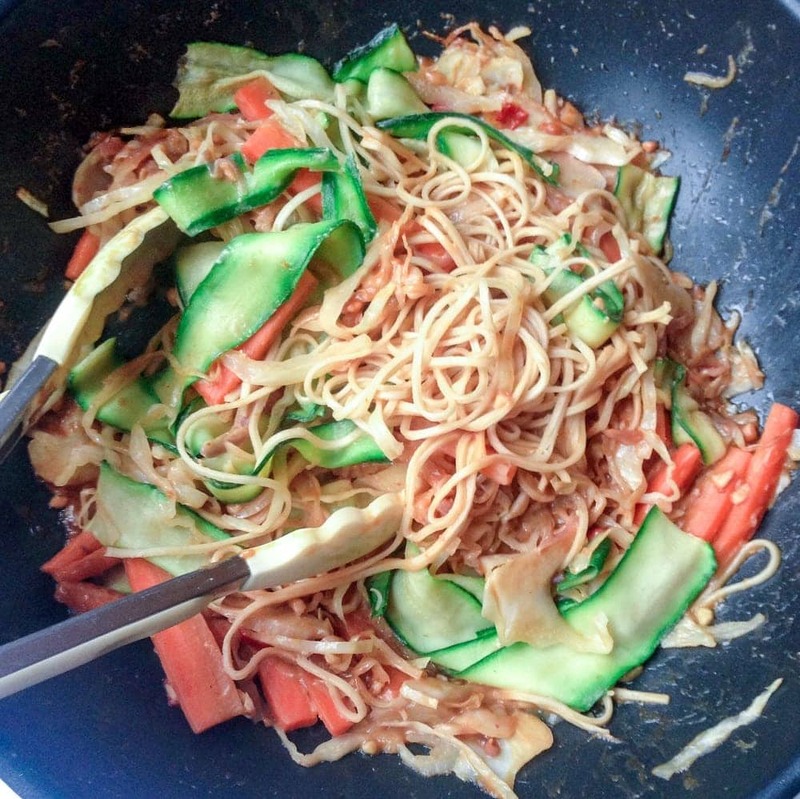 And so this Courgette & Carrot Stir Fry With Peanut Sauce was created. So I’d decided to make the sauce and I’d been pondering for a few days how to use it. Then Will and I were watching an episode of Saturday Kitchen with dinner the other night (I know, we are actually the coolest) and Theo Randall was on. He made a spaghetti dish and then he added some courgette that he’d sliced with a vegetable peeler to the pasta water a few minutes before the end of cooking. This seemed like a simply amazing idea to me and one I’ve never thought of before. I really really love courgette. 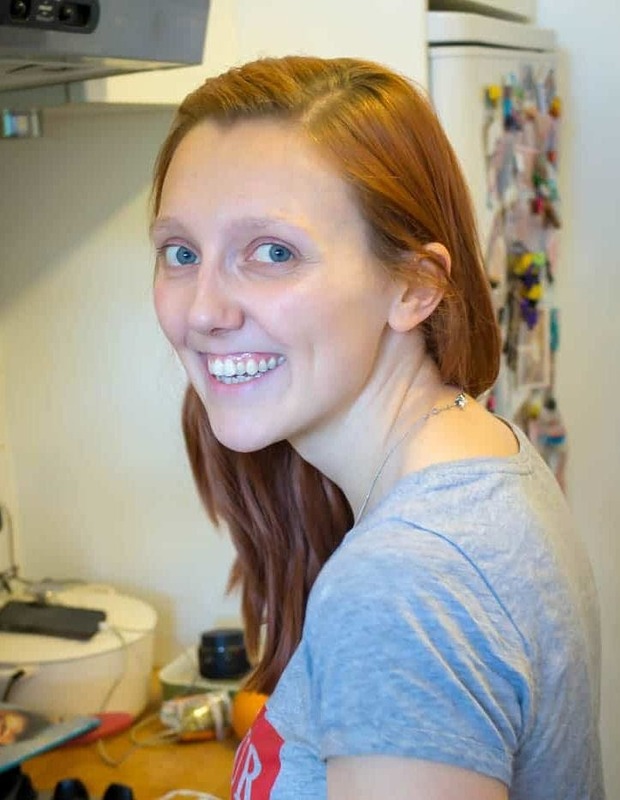 Now, before you start telling me that this is old news because – hello, spiralizers – I’ll just point out that this is not a stir fry minus carbs (although you could make it that way if you really wanted to). However many fun suffixes you add to the end of vegetable names I’m still not going to believe that ‘courgetti’ is the same as eating pasta or noodles. I need them carbs man. So yes, there is noodles. There’s also courgette, carrot, cabbage and the dreamiest peanut sauce. The whole meal is super quick to make and tastes great. I topped mine off with a good squeeze of sriracha, fresh coriander and a sprinkling of sesame seeds. YUM! 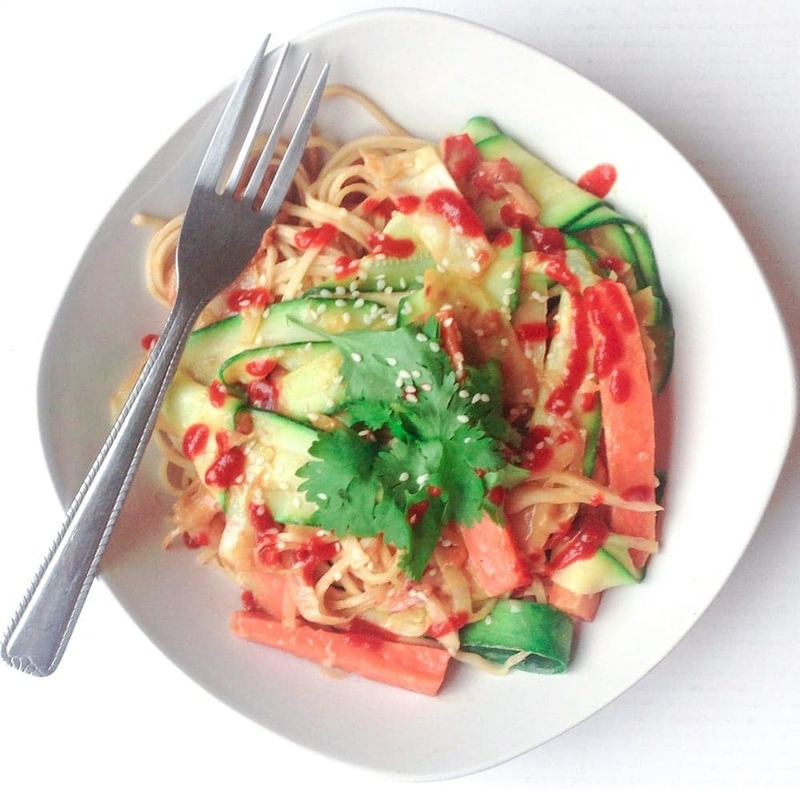 This recipe uses thinly sliced courgette to bulk up the noodles and make this a quick and healthy weeknight meal with a creamy peanut sauce. First make the sauce. Place all of the sauce ingredients into a bowl and whisk together. Heat the oil in a wok over medium high heat. When the oil is hot add the cabbage, red onion, carrot and chilli and stir fry for a few minutes. While the vegetables are stir frying add the noodles to a pot of boiling water and cook according to the packet instructions. A minute before the end of cooking add the courgette slices. Once the vegetables have been frying for about 4 minutes, add the sauce and cook for another 2 minutes. 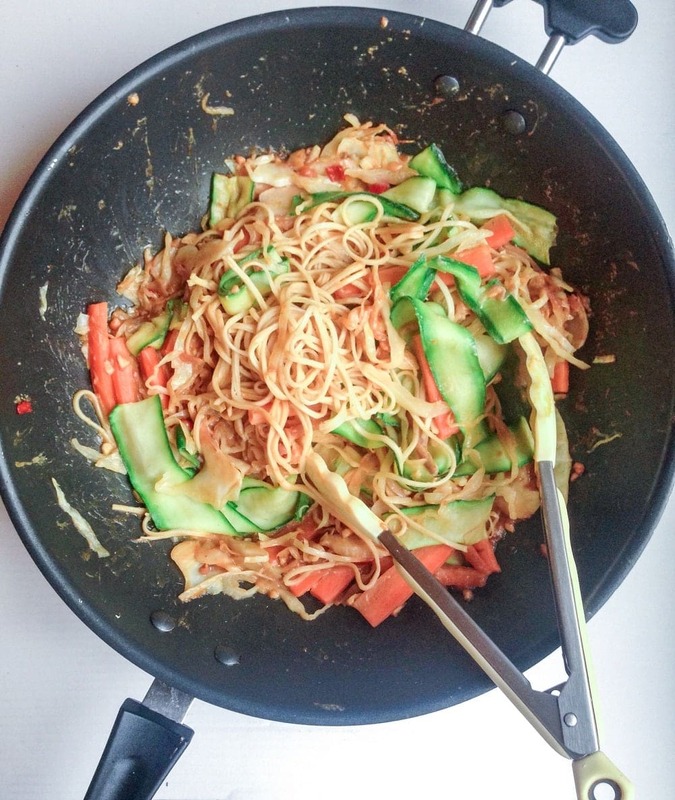 Use tongs to transfer the noodles and courgette directly from the water to the wok and toss everything together before removing from the heat. To serve top with some more sriracha, coriander and sesame seeds. How about using the cabbage for the slaw in these Buttermilk Fried Chicken Sandwiches? Or you could use some of that peanut butter to make this Peanut Chicken. Finally, the red onion can make a brilliant side salad to go with these Lamb Gozleme!